This is one of Tanzania's smallest and most beautiful parks, with a wide variety of landscapes and nature near the city of Arusha. In the east of the park is Ngurdoto Crater and the Momela Lakes. Ngurdoto crater is surrounded by tropical rainforest where you encounter the necessary variety of monkeys including black and white colobus monkey and chimpanzees. At the bottom of the crater is a swamp. 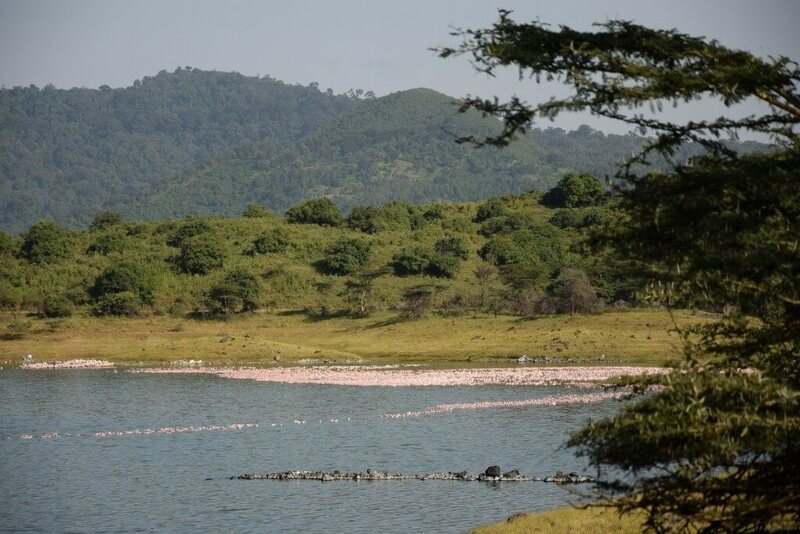 There are seven lakes (Lakes Momela) within the confines of Arusha National Park, each lake is watered by underground rivers. Because of the different algal growth in each of the lakes they each have their own color, you will see a great variety of waterfowl including large groups of flamingos. 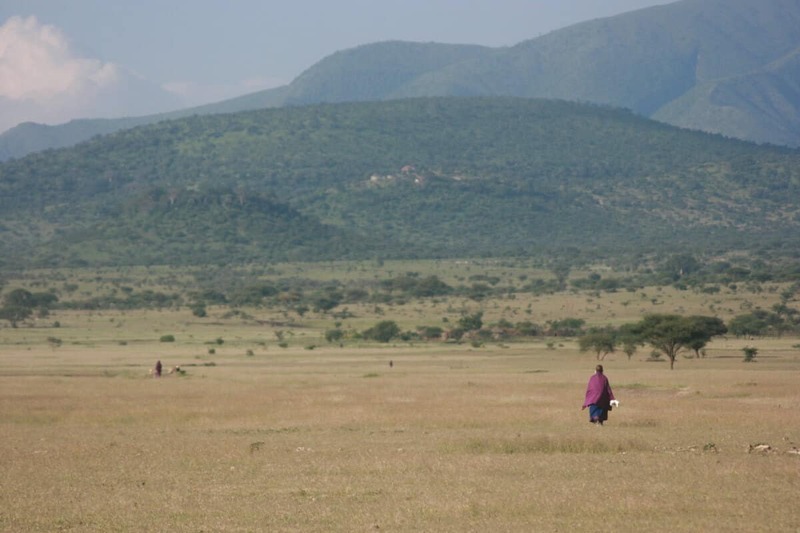 In the west is Serengeti Ndogo (the little Serengeti), with vast savannas and grasslands. 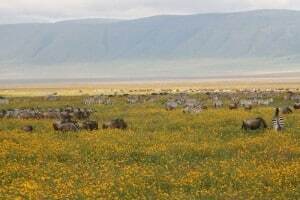 The Arusha National Park lies at the foot of Mt. Meru and in the distance you can see Mt. Kilimanjaro. The park lends itself very well for a walking safari where you with an armed ranger in the park and a part Mt. Meru rising. On one of the many hills offers a fantastic view of a portion of the park and the wildlife that roam here. Although no lions and rhinos live in the park, you encounter a lot of other interesting wild animals such as zebras, wildebeest, giraffe, buffalo, klipspringers, Imapala, different kinds of gazelles and goats, elephants, hyenas, dikdik, ostriches, leopards and different species of monkeys and tropical, waterfowl and many kinds of exotic birds. Arusha park is also famous for the black & white colobus monkeys that live in the woods. 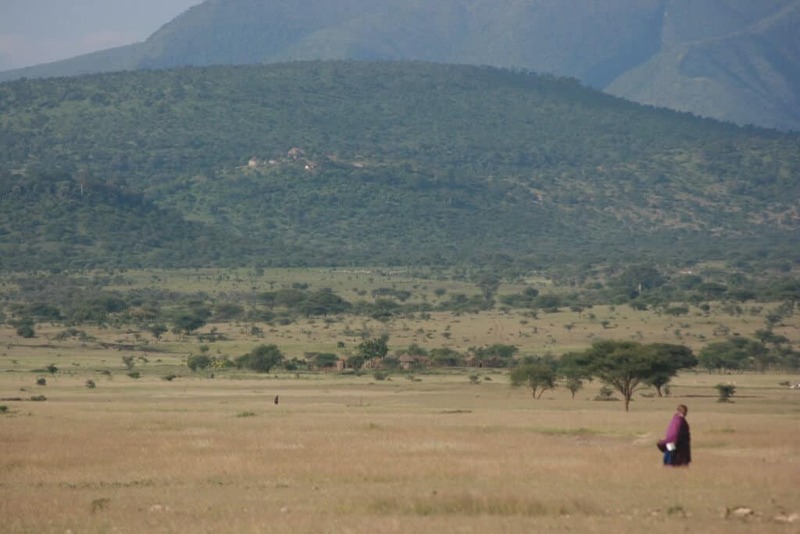 The area of the park is 137 square kilometers and the distance from Arusha city is approximately 30 minutes. Activities: safaris, walking safaris, canoeing, climbing the second highest mountain Mount Meru. During a safari through the Arusha National Park we drive through a dense forest, then along the various Momella lakes. Then we visit the Ngurdoto crater. Like the famous Ngorongoro Crater, this is a collapsed volcanic cone and although this crater is smaller it also offers amazing views! A walking safari is the ideal way to spot wild animals up close and enjoy the scenery. Arusha National Park is one of the few parks in Tanzania where you are accompanied by an armed ranger. 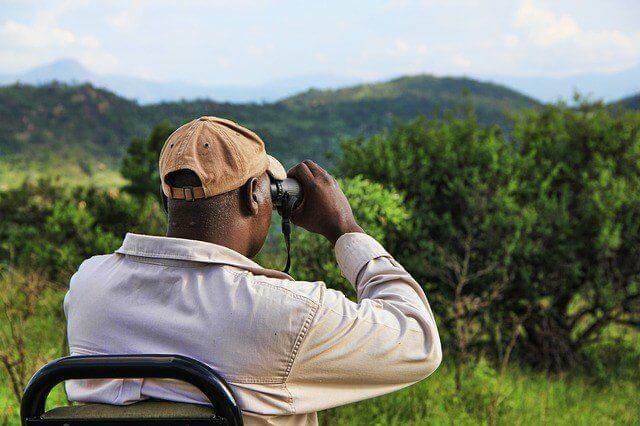 During a walking safari you’ll almost certainly see waterbuck, impala, zebras, buffalo, giraffes, elephants, colobus monkeys, baboons and various exotic birds. We also make a stop by a waterfall where you can take a refreshing shower!